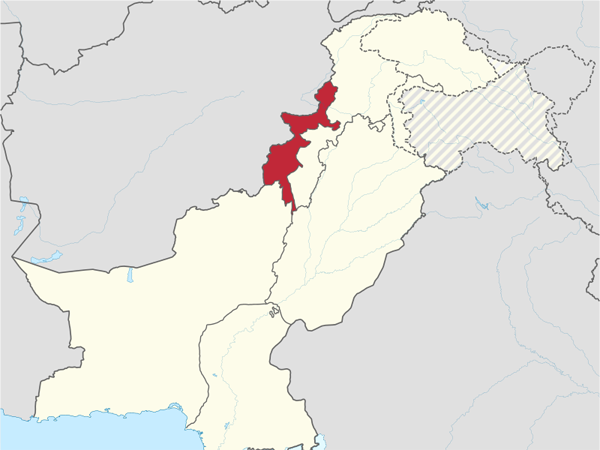 Pakistan’s Federally Administered Tribal Areas (FATA), and its Khyber-Pakhtunkhwa (KP) region are breeding grounds for worldwide terrorism and militancy. The FATA and KP history have been decorated with warfare and bloodshed since external forces began sojourning the region. From 500 BCE to CE 1839, various armies from Macedonia, Persia, Turkey, and Mongolia tra­verse the area that is now the KP and FATA, heading to and from India. Although Islam arrives in 637 AD, the religion was not completely embedded until the 10th century. In 1849, British colonial rule was instituted over what is currently Pakistan. In 1893, British created the Durand Line, which separates Pashtun lands in Afghanistan from Pakistan. In 1901, British enacted hated Frontier Crimes Regulation and the Malikpoliti­cal system to retain influence in FATA. In 1947, Pashtuns in KP and FATA unenthusiastically accepted being part of the new Pakistani state. From 1948 to 1980, Pashtuns on both sides of border, with Afghanistan support, stage un­successful movement to create separate Pashtun state, Pashtunistan. From 1979 to 1989, the Union of the Soviet Socialist Republics (USSR) was at war against Afghanistan’s militia armies and other jihadists groups. Because of the extensive use as logistics route supporting Mujahidin, FATA economy becomes dependent on smuggling. More than 3 million Afghan refugees flood into KP and FATA region. Resources become available to mullahs and other groups. In 1997, FATA grants adult suffrage for national elections. However, main­stream parties are banned from organizing, allowing religious par­ties to take root in tribal areas. Finally, in 2001, Operation ENDURING FREEDOM begins. Al-Qa’ida, Taliban, and the Islamic Movement of Uzbekistan forces exploit FATA as safe ha­ven to evade US-led coalition military operations in Afghanistan. From 2002 to present, Islamabad alternates between limited-scope military operations and peace deals with militants in FATA and KP. The Bajaur Agency is never easy to access due to the landscape and terrain. The main tribes are the Tarkani, Utman Khel, and Yusufzai. The Mohmand Agency is occupied by the Mohmand tribe who are expert fighters. It was the most challenging tribe during British era. The main tribes are Mohmand, Safi, and Utman Khel. The Khyber Agency is named for famous Khyber Pass connecting Pakistan to Af­ghanistan. This area is occupied by the Afridis who are known for their warrior spirit, business aptitude, and litera­ture. The main tribes are Afridi and Shinwari. The Orakzai Agency is occupied by Shi’a and Sunnis. The main tribes are Orakzai, Bangash. The Kurram Agency is an agency with large number of Shi’a and it is prone to sectarian violence. The main tribes are the Turi , Bangash, and Orakzai. The NWA has a large militant presence and is prone to kidnappings. Main tribes: Utmanzai Wazir, Meshud, Daur, and Meshud. The SWA is occupied by mullahs and has a large militant presence. The main tribes are Meshud, Ahmadzai Wazir, and Bhittani. The FC is a paramilitary organization led by an Inspector General. Divided into two branches, located at the KP and Bal­ochistan areas, the FC conducts border patrol, anti-smug­gling, and local law enforce­ment. Although the FC has supported the Pakistani Army in military operations against militant and insurgent groups, there are several reasons why the FC remains both effective and ineffective in the KP region and elsewhere. First, the FC command and control system suffers from peacetime subordination to Ministry of Interior, which is moved to Pakistan Army commanders during wartime. Second, the FC manpower consists of about 100,000 enlisted personnel that are mostly ethnic Pashtuns. Third, the FC equipment consists of aging weaponry such as the AK-47 variants and bolt action rifles, light artillery, heavy machine guns, and mortars. Fourth, the FC strengths consist of many enlisted personnel that are Pashtuns familiar with geography and local lan­guage of FATA. Fifth, the FC limitations consist of severe lack of logistical, medical, artillery, and air support capabil­ity. Sixth, the FC enlisted personnel can be sympathetic to targeted forces and influenced by their clans. Finally, the FC training include only basic scout training academy located at Mir Ali, NWA. The FC simply receives no advanced specialization training. Middle East Conflict; Mitchell G. Bard Ph.D.; 2008. Pakistan’s Security Paradox; Haider A. H. Mullick; 2009. World History; Timothy C. Hall, M.A. ; 2008. Inside Al Qaeda; Rohan Gunarantna; 2003.